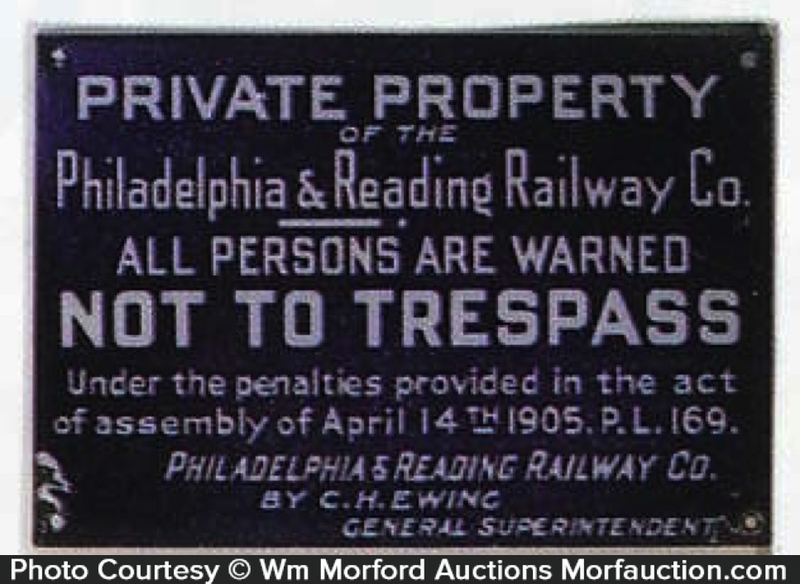 Early, heavy porcelain No Trespassing sign from the Philadelphia & Reading Railway Co.
SKU: D10-74. 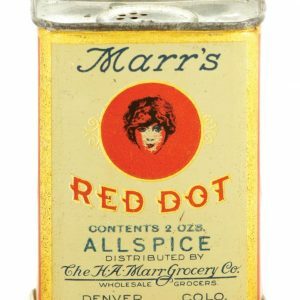 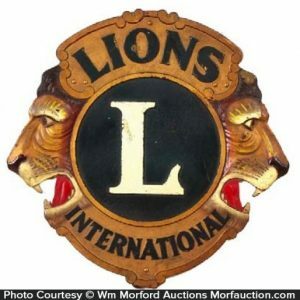 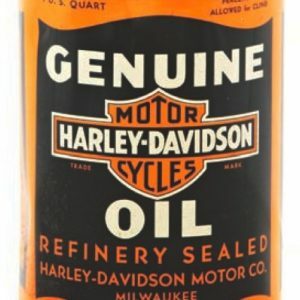 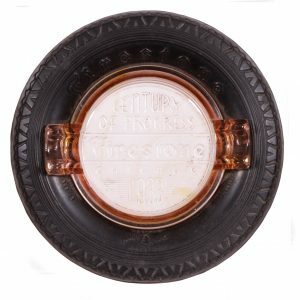 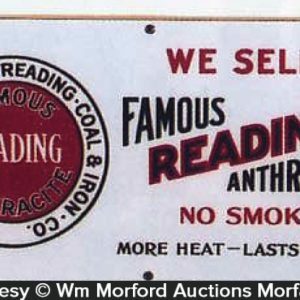 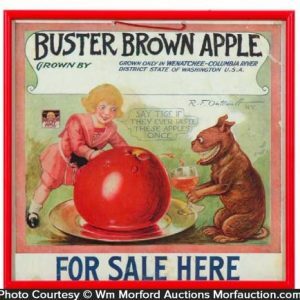 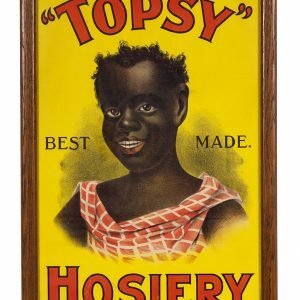 Categories: Antique Signs, Porcelain Signs, Transportation. 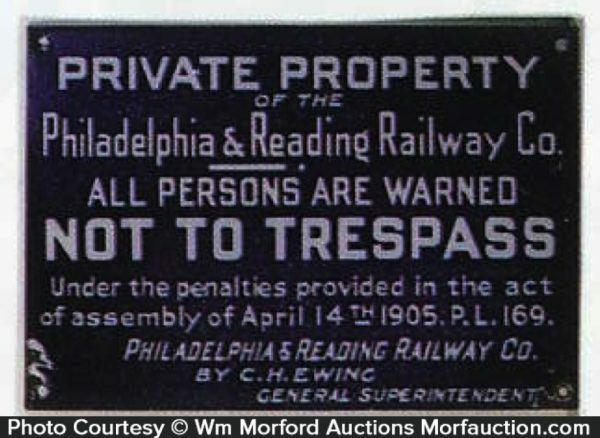 Company/Brand: Philadelphia & Reading Coal & Iron Co..
Railroad No Trespassing Sign: Early, heavy porcelain No Trespassing sign from the Philadelphia & Reading Railway Co. Has some chipping and roughness at bottom corners, otherwise excellent.